Let’s look back to 2009. 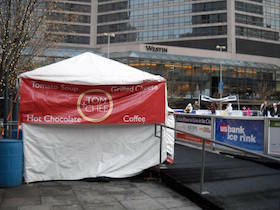 A tent, Fountain Square, and four dedicated entrepreneurs braving the bitter cold, to reveal a concept that would change the grilled cheese category and bring YUM+AWESOME to the masses. What started as the little tent that could, is now developing into a mature restaurant concept. As we continue to grow, we remain committed to our heritage by keeping FUN at the center of everything that we do. You’ll see fun come to life in our menu items such as our Grilled Cheese Donut. However, we do not just focus on fun. 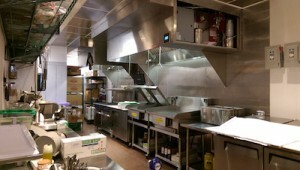 We are committed to using fresh ingredients, home roasted meats and providing vegan and gluten free options. We remain dedicated to the AWESOME that has led us to our current success. 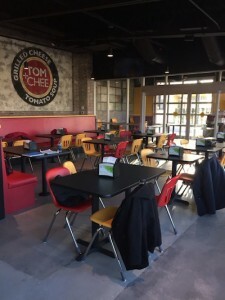 As Tom+Chee grows into the future, our franchisees locations are developing quickly. We’re not looking for just anyone or anyplace. We’re looking for those unique people that can bring our concept to life with the same level of enthusiasm and commitment as our founders. Step one is finding the right people. Step two is for us to find the next awesome location for Tom+Chee. At Tom+Chee, we define this ubiquitous but little understood term as area, site, and space. While it is relatively easy to identify the right area, it can be challenging to find the right site. However, the biggest challenge of all is finding the right space. 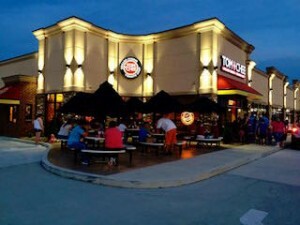 TOM+CHEE is interested in seeing its Franchisees focus their site search efforts on locations in five primary preference areas (1) City Downtown, (2) Historical or Established Business Districts, (3) Lifestyle or Entertainment Centers, (4) Urban Mixed Use Projects, and (5) Neighborhoods which are experiencing concentrated areas of residential growth and development. The secondary preference areas are: (1) Major Airports, (2) Regional Malls with either (a) interior end cap space located on the edge of a large food court or (b) exterior faced space which is accessed from both inside and outside the mall, and (3) Suburban or Urban Destinations which (a) feature a major area attractions that possesses weekend trade areas, which extends for 40-50 miles or more. Locations which are convenient to interstate highways and major intersecting streets and thoroughfares are important because of the convenience they provide. The ability to conveniently turn into and out of a retail center is very important. As such, streets which are median free and permit easy left hand turns into and out of a location are strongly preferred. Sites which are directly accessed by, or close to, two intersecting streets are preferred. Sites within 500 feet of one or more traffic signals are preferred. Availability of major public transportation options near the site should be considered. Locations sitting at a distance of 125 feet or less from the main street are preferred. Approximately 15 parking spaces per 1,000 square feet of floor area. Otherwise, common area (shared) parking, garage parking, parking lots, and/or on street parking which is located within a 200 foot walking distance, are essential to offsetting a lack of on-site parking. TOM+CHEE restaurants should be located on major streets carrying approximately 20,000 vehicles per day. Locations on intersecting secondary streets will be considered on a case by case basis. 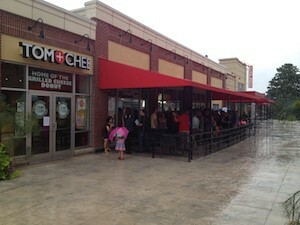 TOM+CHEE locations should have clear and unobstructed visibility from the street for a distance of 150 feet or more. Street trees should not be blocking signing. Unless compelling evidence is provided, building fascia located below or partially below street level are to be avoided. Millenials – people age 18-34, and Gen Xers – people age 35-54, account for the great majority of our guests. Our customer base skews towards females and families. 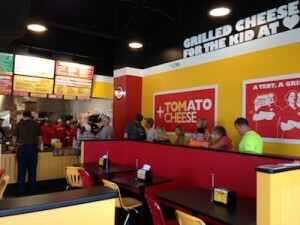 It is imperative to understand the role visitors to the nearby surrounding area play in generating customer sales for TOM+CHEE. The larger and more diverse an area’s critical mass, the higher the level for sales generation. Being located near businesses, which generate steady customer traffic, is very important. We like locations that permit the display of awnings. They help us promote our identity. The ability to display one or more building mounted signs is essential. In addition, the ability to display window signing is important. The ability to display multi-tenant pylon or monument signing is essential to building strong name/brand recognition.